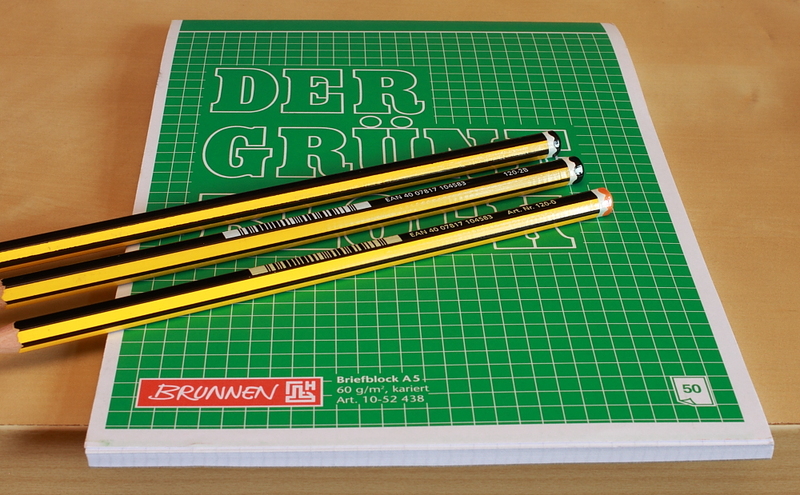 In a previous blog post I compared three Staedtler tradition 110 pencils, made in three different factories – the one in Wales, the one in Australia and the one in Germany. 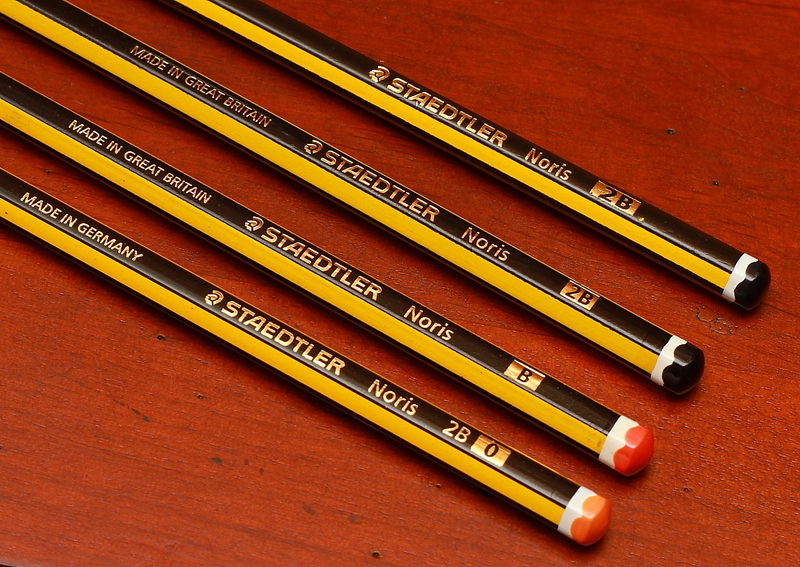 Today I want to look at three different Staedtler Noris 120 pencils – made in Malaysia, Wales and Germany. I bought a dozen of the Malaysian Noris in March 2010 for £2.24 (~ $3.40; €2.78) from a Malaysian seller on eBay. 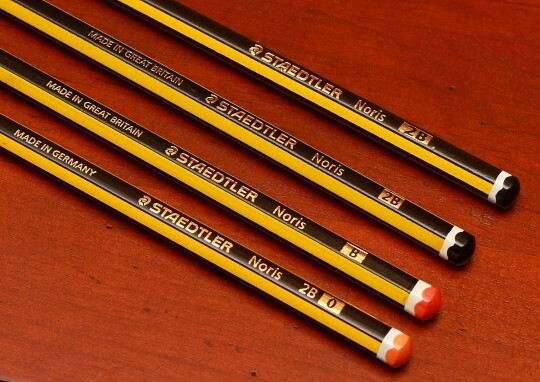 The only pencil from this comparison that is still in production is the Nuremberg-made Noris. The factory in Malaysia closed down two years ago and the factory in Wales closed down four years ago. You can still find Welsh-made pencils in the UK, but there are very few shops left that still have stock. I am not sure about the situation in Malaysia, but I assume most of the Malaysian Noris are also sold by now. 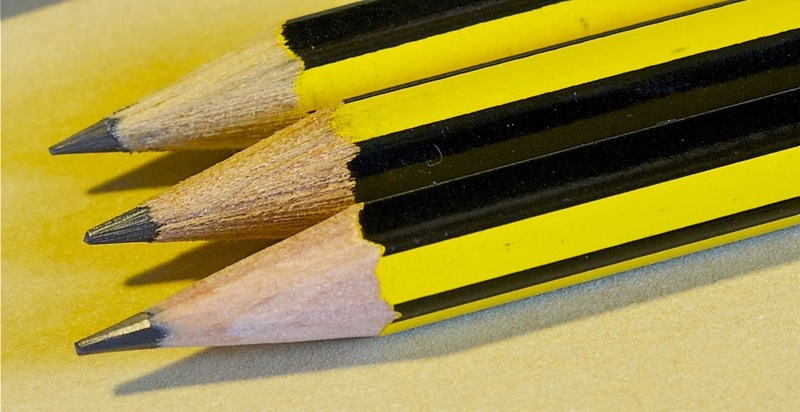 In a previous blog post I mentioned that 2B is the most common pencil grade in Malaysia. It is so popular in Malaysia that the Malaysian Noris is only available in 2B, therefore I’ll compare it with the Welsh and German Noris in 2B. The colour of the Noris cap normally indicates the pencil grade. The HB Noris has a red cap. Strangely enough the cap colour is not consistent. The older Welsh and Malaysian 2B Noris have black caps, while the newer German Noris, bought in April 2012 at Müller in Volkach, Germany for €0.59 (~ $0.73; £0.47), has an orange cap, similar, but a slightly lighter in colour than the orange cap of a Welsh Noris B. The bottom of the metal sharpener 510 10 in the Noris sharpener features a ‘W’, which indicates that this sharpener is one of Staedtler’s newer sharpeners, optimised for use with the Wopex. It has a sharpening angle of 23°. The thickness of the shavings produced by the Wopex-optimised sharpener is the same as the one by the older model, usually just under 0.3 mm. I assume the difference is in the way the blade has been sharpened. I used a notepad from Brunnen1 to compare the different leads in terms of smoothness, reflectiveness, darkness, erasability, graphite transfer to another page and how long they keep the point. As far as I can tell the three different Noris perform very similar. The graphite from the Malaysian Noris might transfer a bit easier to another page, e.g. in a diary, but it’s only every so slightly worse than the other two Noris pencils. In terms of exterior appearance the Welsh and German Noris are nearly on par, with the paint on the Noris from Nuremberg being slightly more even. The paint of the Malaysian Noris is however much worse, but still better than the no name or own brand pencils you usually get in super markets. The Welsh Noris has a diameter of 7mm, which is slightly more than the 6.9mm the Malaysian and German pencils have. For me the Noris is THE typical pencil. Previous blog posts showed the Noris being featured on TV. Today I want to add two more screen shots. One from Episodes, where Sean Lincoln (played by Stephen Mangan2 ) is using a Stadtler Noris in the USA, even though it isn’t officially on sale in the USA. 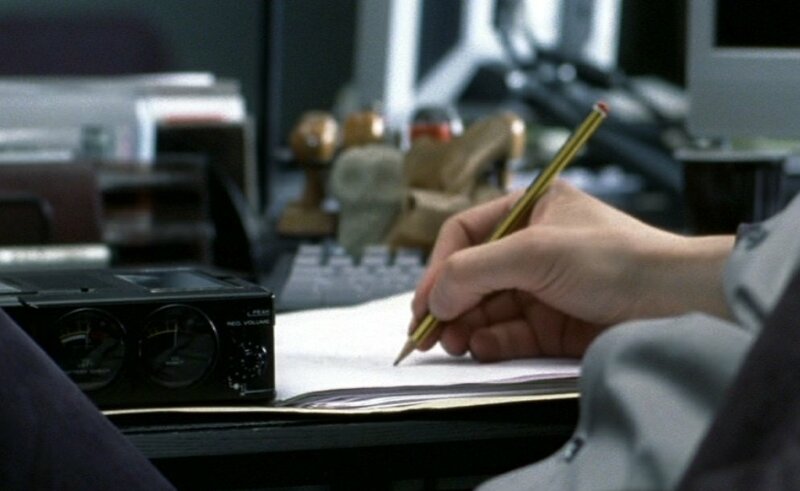 The character must have brought it from the UK, the desk is full of Noris pencils ..or, in the real world, this scene might have been filmed in the UK. The other screen shot is from episode 705 “Liebeswirren” of German/Austrian/Swiss crime TV series Tatort. One of the actors in this episode from Munich was Christoph Waltz of Inglourious Basterds fame. Articles that juxtapose the same model made at different locations are greatly appreciated, thanks! Have the made-in-Germany Noris’ always come with hardness in both letter and number? I thought the number system is an American thing (I panicked briefly the first time I was told to use a ‘Number 2 pencil’ for ‘scantron’), if so, then why would a pencil not sold in US have number printed on it? Norica also comes with number while Wopex doesn’t, I wonder if one can rationalize this. Even more confusingly, Noris Club the triangular version of this pencil, which is sold in North America doesn’t have number hardness. Thanks for your detailed comparison, Memm. Especially since they aren’t very common pencils here. Great, thank you! I am very fond of the Noris 120 so this comparison is very interesting. Claire: In Germany both numbers and letters were common to indicate the hardness in Germany, and I haven’t found any regularity in their use yet. – By the way, the Noris 278, about 100 years old, has only a number. I’ve always felt a bit remote from the Noris since they are unavailable in Australia, but thankfully Matthias, your lovely samples of the 120 and 122 have sorted that out. I personally like the green capped ‘2H’ and I think an ebay order will be on the way soon. Just checked my double hole 510-20 sharpener and it has the ‘W’ stamped underneath. I’ll have to try the Wopex again now. For those of us in locations where the Noris and tradition are not sold – at retail, are they priced less than the Lumograph, or given less prominence in retail displays? They both seem to be unofficial “second tier” pencils, yet never called so. Stephen: They’re definitely cheaper than the Lumograph in the UK: in the 59p range, vs. the Lumograph’s 99p+. 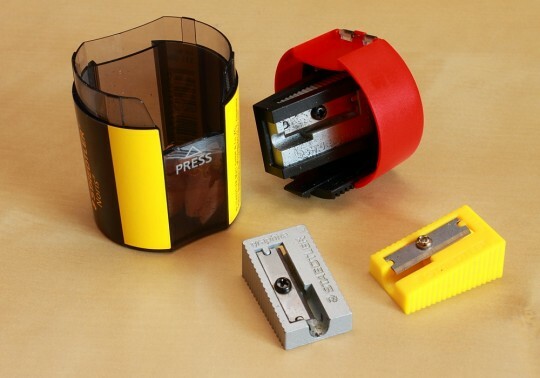 The only stationer I ever saw selling both gave equal prominence to each pencil, but had a much wider selection of Lumographs, as they come in a wider range of grades. 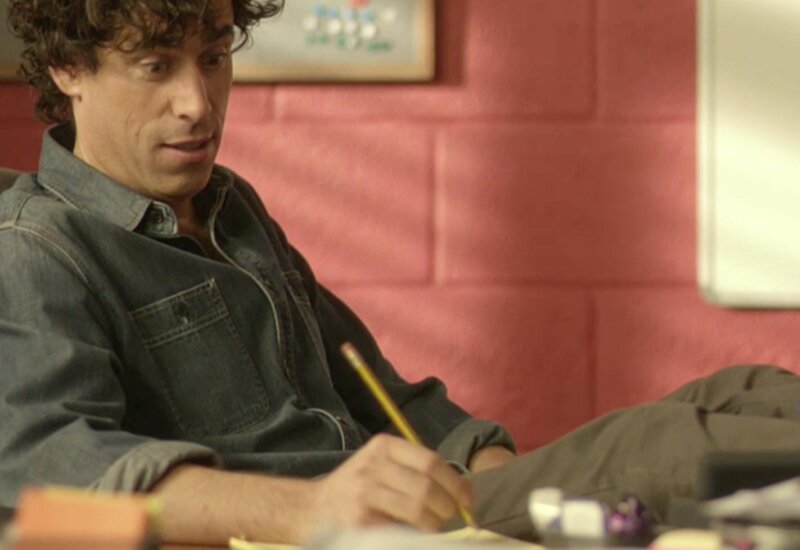 The Noris was one of two common pencils I saw in school; the other was the Bic Matic mechanical pencil. I hadn’t seen the eraser-capped version at all until a couple of years ago, but now see them quite frequently. As far as I know, the eraser-capped version only comes in HB. Koralatov, thank you for the comment. Gunther: thanks for the response! Sorry for the very late reply, very busy at work (again). As Koralatov said, the Noris is cheaper than the Lumograph. Compared to the Tradition: some shops charge more for the Noris, some more for the Tradition, but usually you don ‘t see both in the same shop. Some shops sell one Noris as part of a blister pack for less than 30p, e.g. Tesco. ← Why are fountain pen sales rising?